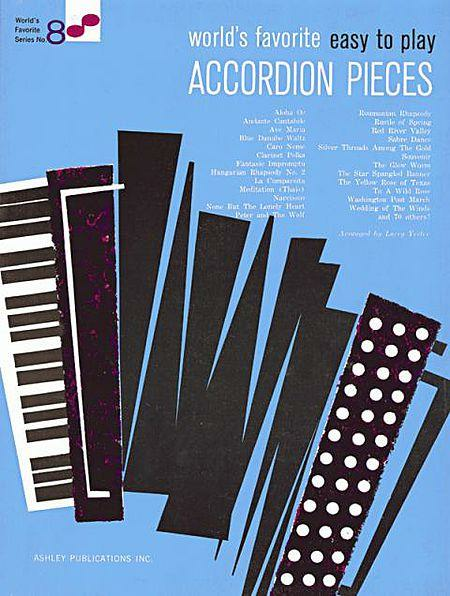 About 100 of the most popular melodies of all time arranged for the accordion, including: Aloha Oe • Ave Maria • Blue Danube Waltz • Fantasie Impromptu • Peter and the Wolf • Red River Valley • The Glow Worm • The Yellow Rose of Texas • Wedding of the Winds • and more. 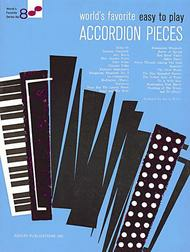 After many years of not playing my accordian this music is a real joy to be able to pick up my accordian and actually have music that is familiar and I can play it. Will need to practice a lot but this book is just a start. I like this book a lot. It is packed with relatively easy to play classics - though I am still a brand new beginner. Now I just hope to get good enough to learn a few. the World's Favorite Easy is excellent! I love it! 44 of 71 people found this review helpful.